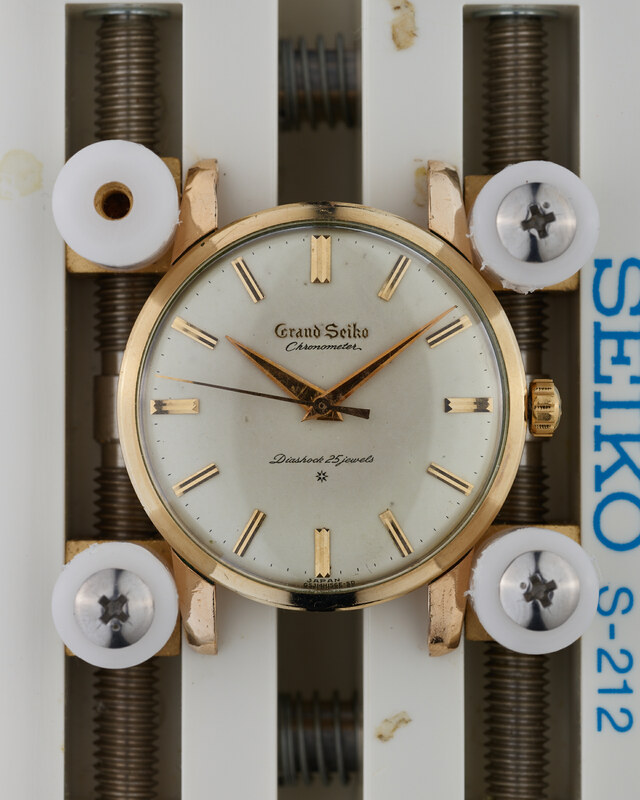 Making an ideal initial piece for anyone looking to start collecting vintage Grand Seiko, with its raised logo dial, this is by far the most common variant of the Grand Seiko “First”. 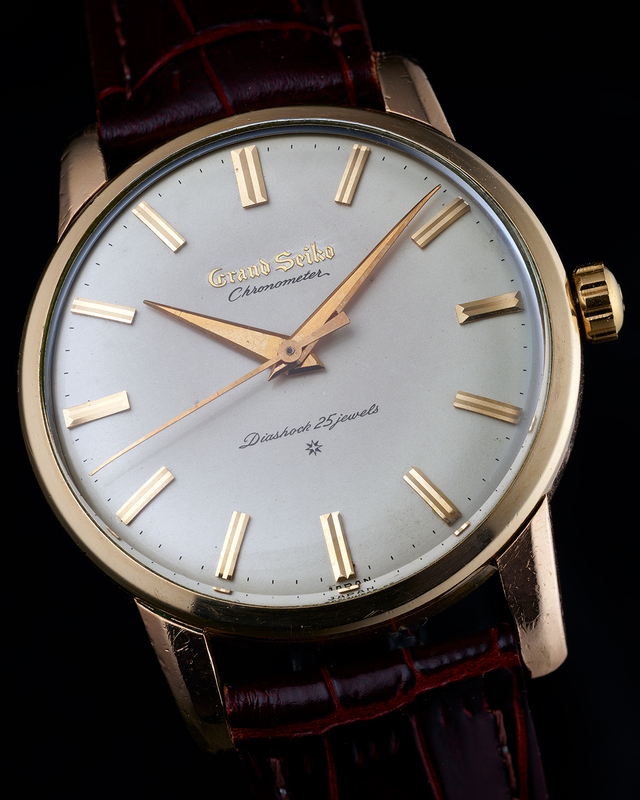 It is such an iconic watch that Grand Seiko have re-issued limited edition modern versions of this watch no fewer than three times. 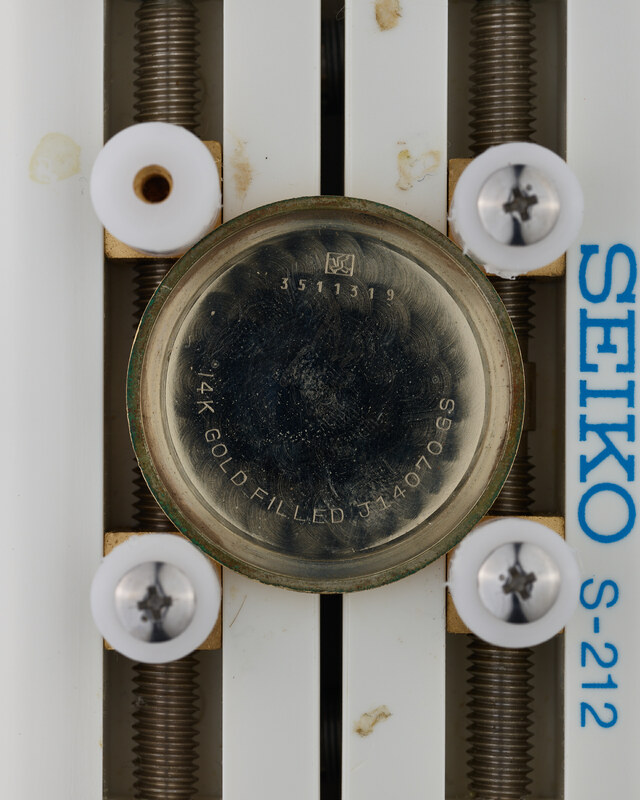 But why settle for a modern reissue when you could have the original? 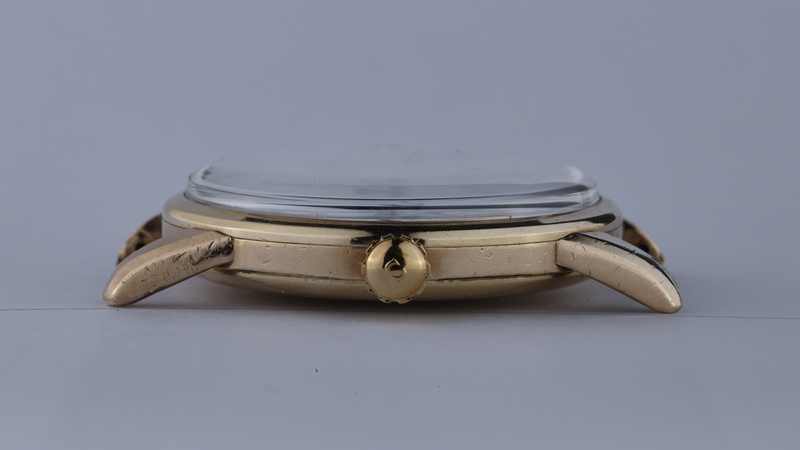 This particular example of the model is in good condition. 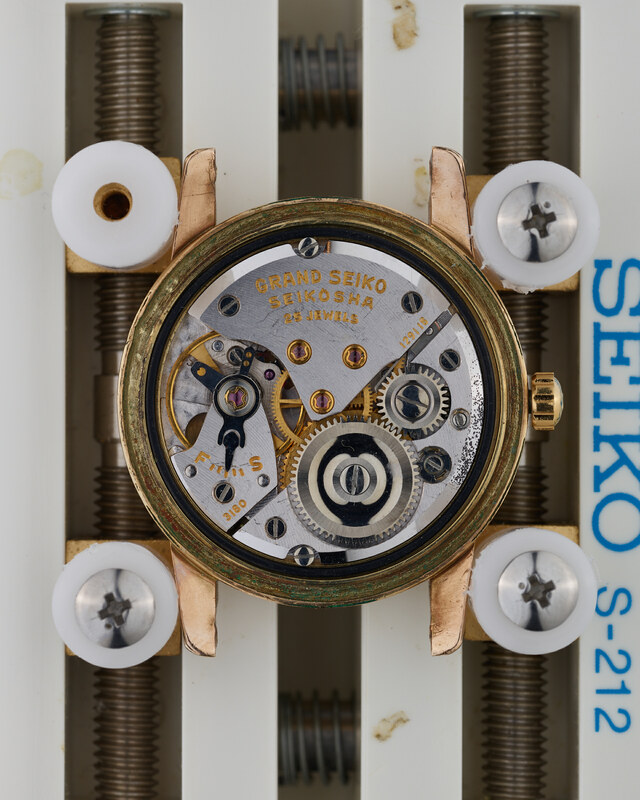 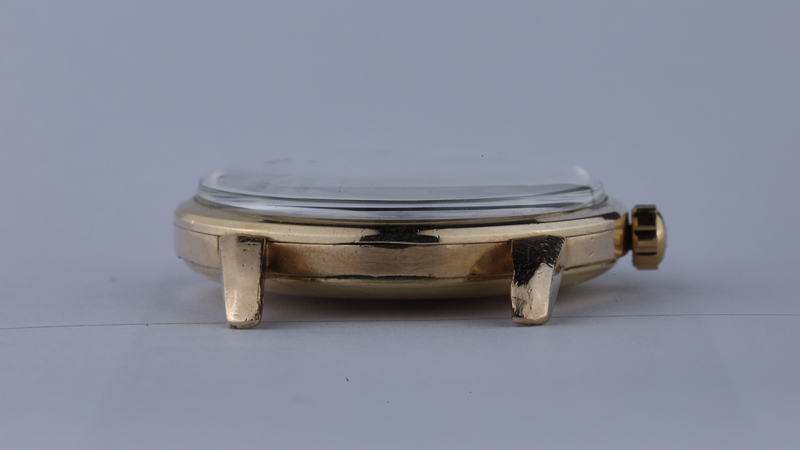 There are the expected signs of “spotting” on the dial – common to every single Grand Seiko First that we have seen, and some minor scratches to the case that can be clearly seen in the provided images. 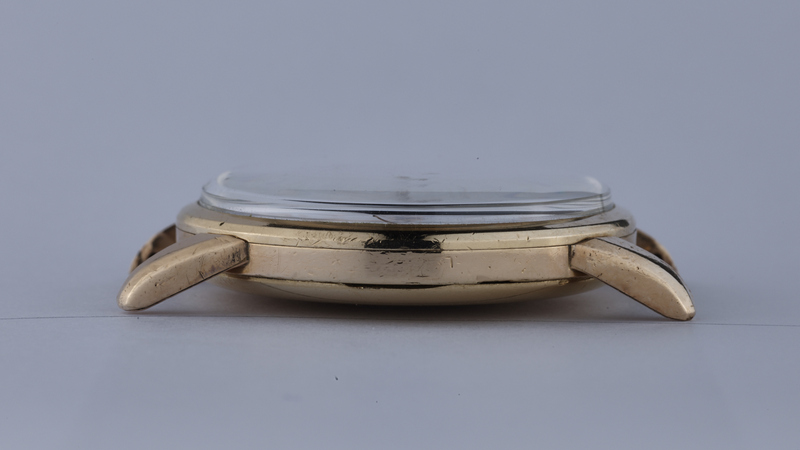 Probably the most negative part of the case is a scratch that carries over to the edge of the lion medallion on the case back. 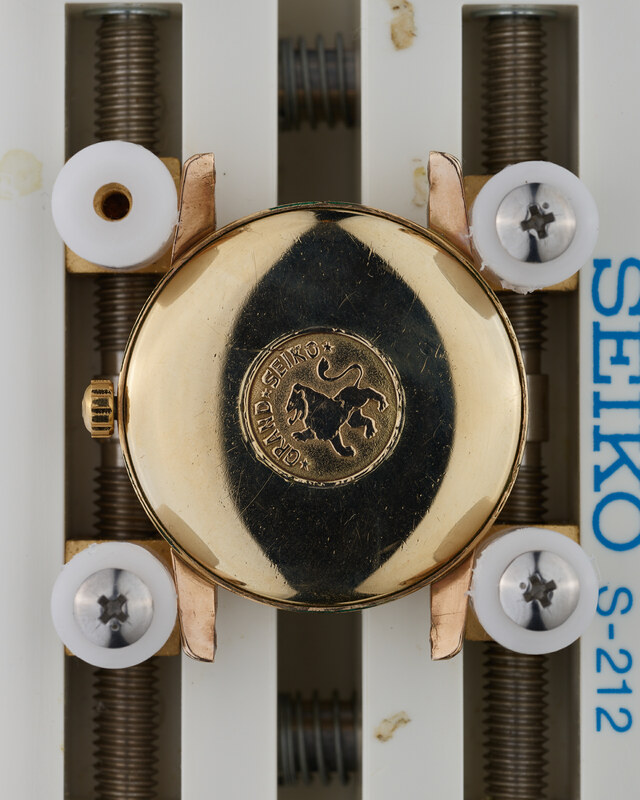 The lion itself has lost some of its definition through polishing, but all the contours are still clearly visible. 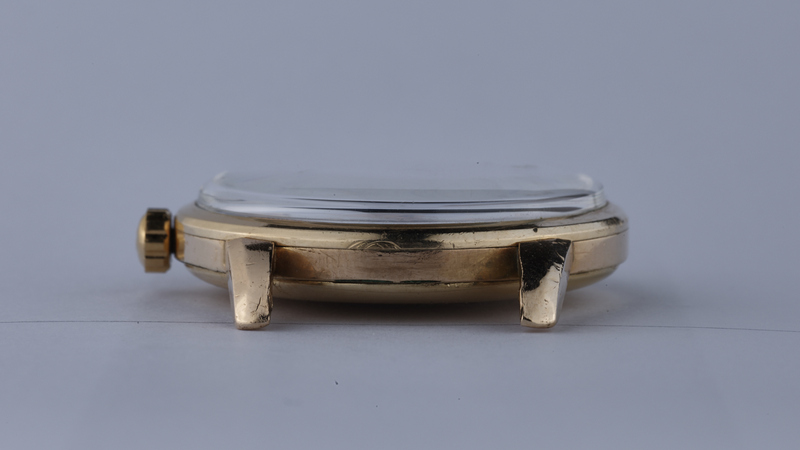 On a timegrapher in the dial-up position, the watch is running at around +2 seconds per day.